As you all can see I have a very busy schedule this year and I thought I was going to retire this year. 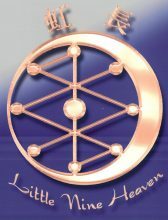 Many of you who know me, I am not one to ask for money but this Nonprofit is necessary to preserve the teaching of Little Nine Heaven Wu Tao heritage and the other pure system we teach for health and longevity. The purpose is to honor and respect our Masters, Grandmasters and Great-Grandmasters who made there system possible and pure without change hoping their systems will live for many years to come. Many of the old systems & Masters are dying off in today world and the new made up system are taking over. It is a shame the many years of original Kung Fu is being replaced by Wu Shu and other mixed systems. The goal to build our nonprofit is going in the right direction we have our boards members, Vice President. Secretary, treasurer and working on other officers needed. We are in the United States, England and soon China. China has recognized me as the next linage holder and “gate keep” of the Little Nine Heaven Wu Tao System as per Grandmaster Chiao Chang-Hung written approval. China also wants to restore Grandmaster Chiao Chang-Hung home and temple to make a museum in honor of him and the Little Nine Heaven Wu Tao System which they thought has been lost for many years. I want to make him proud as he is home once again in spirit. 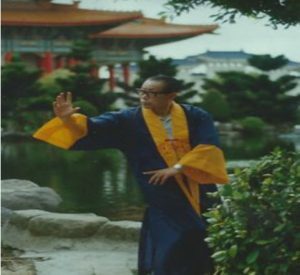 We need all the help you can give us to preserve the old way of L9H Wu Tao Kung Fu.